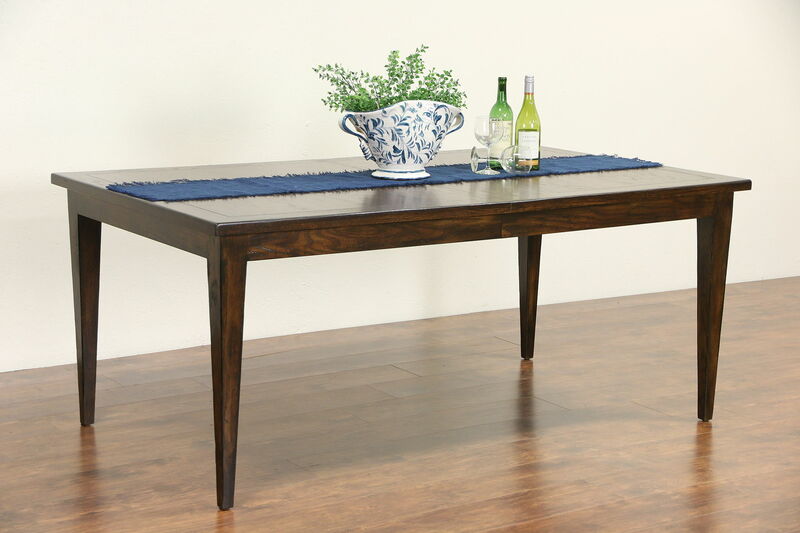 A classic, clean lined dining table from France dates to the 1930's. The deep finish is in excellent condition on this European vintage furniture. There are no leaves, but the table opens and leaves could be made if desired. Dimensions are 6' long, 42" wide, 30" tall and legroom is 26" underneath.